Eliminate Galling, Reduce Maintenance with PVD Coatings! 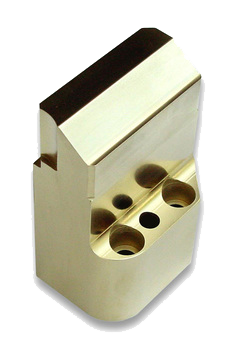 Metal Forming – Eliminate Galling, Die Polishing, with PVD Coating! Sick and tired of polishing dies after 300 – 400 hits? Galling and die polishing will be a thing of the past with our high-performance, PVD coatings. The lubricity, hardness and abrasion resistance of these PVD coatings reduces friction between the sheet metal and tool, resulting in 8 to 40 times longer tool life, more press up-time and improved part quality. In addition to our coating service, we also offer polishing and surface prep services to ensure that all contaminants that could adversely affect coating adhesion are removed. PVD coatings will not adhere to oxides or EDM recast, so we do hand polishing, mass finishing and tumbling, often at no extra cost, to ensure you get a high-quality job each and every time. 6 – 10 x longer life over uncoated form tools. Reduced die galling, better lubricity, less die polishing. Reduced friction, resulting in better forms, higher quality parts and less need for lubrication. More up-time and less rework, all resulting in more profits. 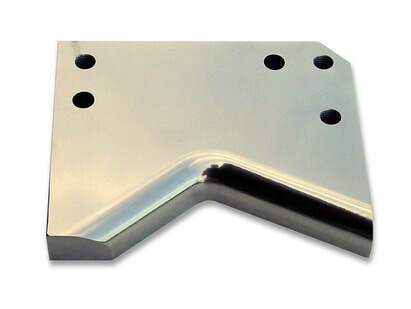 Our best coating for tough metal forming applications is CrN. It has excellent lubricity, is very tough, and has good wear resistance. 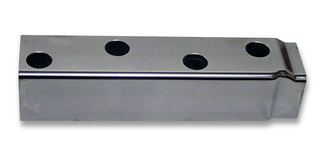 If you have stainless steel applications where galling is an issue, CrN is your solution. Alpha™ and TiCN are good, all-purpose coatings that will provide 2 – 4x life over TiN coating; while TiN coating will provide 2 – 8x life over uncoated tools. You’re Not Making Money Polishing Dies!